They'll look forward to their meds with Gourmeds. You'll love 'em 'cause they'll take 'em! Now you can give your patients the medications they need and treat them to great tastes like natural chicken and fish, too. Gourmeds—tasty, chewable tablets— are flavored with natural food-grade ingredients that pets love, so they’re easy for pet owners to administer. If that’s not incentive enough, Gourmeds are more economical than most dosage-forms and available for these preparations that you may prescribe. *Available in Bitter-Block Gourmeds. Gourmeds are 1/2 inch in diameter. An animal's compliance with medication regimes is not a joke when compliance makes the difference between good health and illness. A animal's health, of course, is tied to compliance. 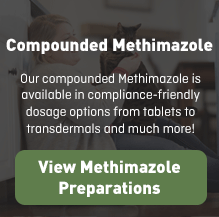 We're committed to ensuring that your patients not only receive the proper medications they need, but also continue to take them as prescribed. 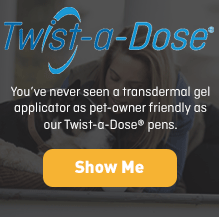 You can turn to us for hard-to-find medications, smaller-than-a-Tic-® Tiny Tabs®, Bitter-Block™, Low-Dust Granules, Medi-Melts®, Quad tabs®, Tiny Tabs®, the Twist-a-Dose® transdermal gel applicator, the Twist-a-Taste® oral gel applicator, more than 30 animal-friendly flavors like fish, liver, chicken, beef, and tutti-frutti, and compounded medications to meet your exact specifications. You and your clients also can turn to our online learning center for scores of professional monographs. 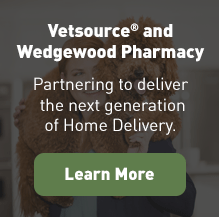 As the nation's largest animal-health compounding pharmacies, our specialized compounding pharmacists have helped to solve unique medication problems for animal-health practitioners since 1981. Serving more than 40,000 prescribers, we have the experience and resources to help you to solve many complex medication-compliance issues.